Down River is an award-winning, Canadian indie film focusing on the life of a mentor and her three protegés. 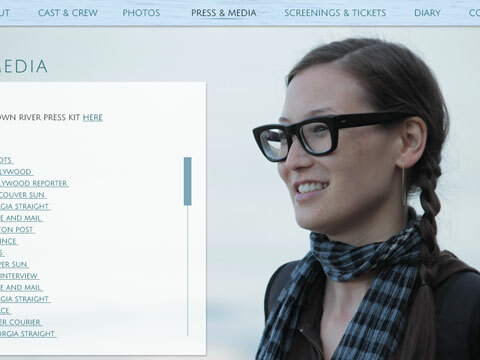 Based on a real-life friendship between the director and a beloved actress, the film needed a highly visual and elegant website to instill the same warm atmosphere as the film itself. 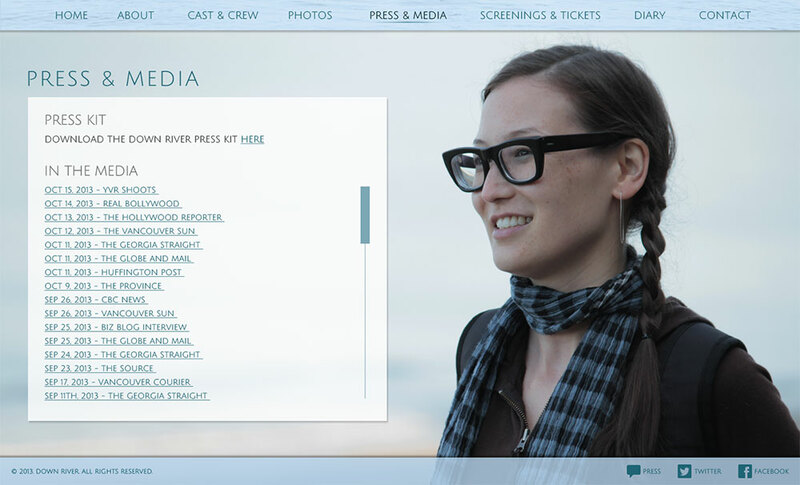 A powerful scene from Down River is the first thing seen in the home page of the site. The symmetry of this scene made it great for a two-column content design. Award logos were added in the center as the film gained notoriety and acclaim. A heavy emphasis on film stills were used to create consistency with the website and the film. Scenes were selected for framing and colour, pairing content with the best visual matches.